Goat hears that she is doing well. Goat receives a thank you note. This entry was posted in Book Design, Books, Poetry and tagged beast, bees, contemporary American poetry, Cornell, goat, Ithaca, letterpress, literature, paw, poetry, Schwaner, Tom Williams, yarn on December 20, 2013 by Jeff Schwaner. it gets up and bites everyone. 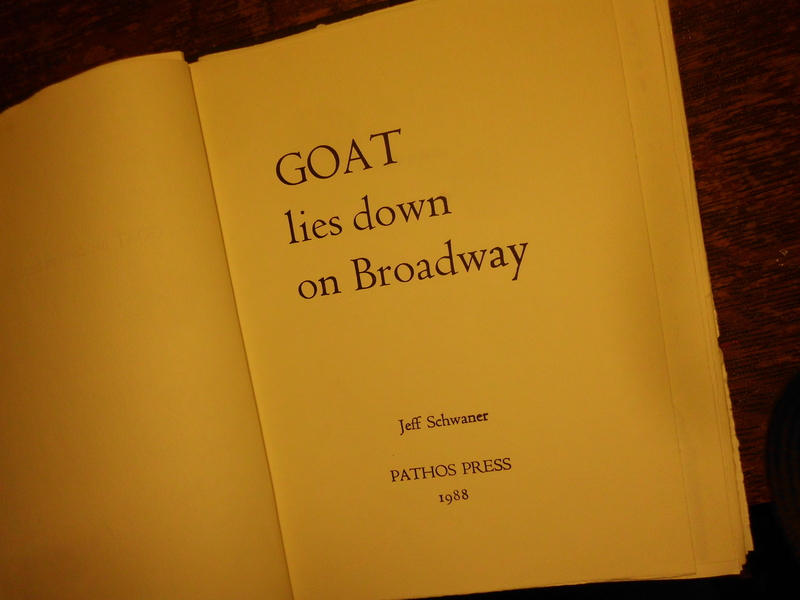 This entry was posted in Book Design, Books, Poetry and tagged beast, contemporary American poetry, Cornell, goat, Ithaca, letterpress, literature, paw, poetry, Schwaner, Tom Williams, toys, yarn on December 19, 2013 by Jeff Schwaner. waving to Paw and Beast. a train of fish heading North. “Nothing will change this,” he said. 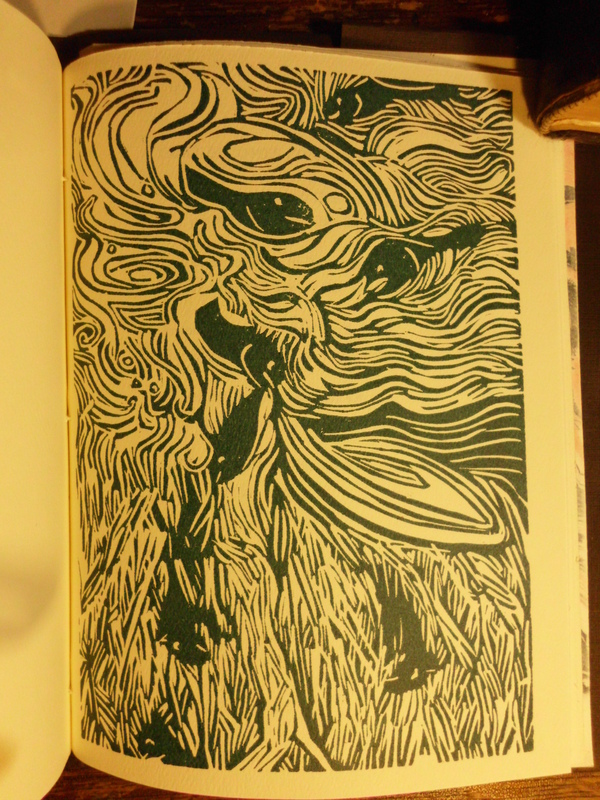 This entry was posted in Book Design, Books, Poetry and tagged beast, contemporary American poetry, Cornell, goat, Ithaca, letterpress, literature, paw, poetry, Schwaner, Tom Williams on December 18, 2013 by Jeff Schwaner. Goat caught trout. A syllable! he crowed. This entry was posted in Book Design, Books, Poetry and tagged beast, contemporary American poetry, Cornell, goat, Ithaca, language theory, letterpress, literature, paw, poetry, Schwaner, Tom Williams on December 18, 2013 by Jeff Schwaner. recognition, a slur; the other, syllables.